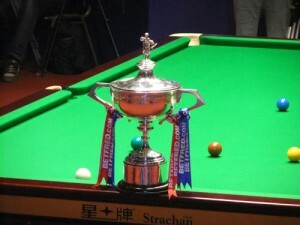 As a youngster growing up in the 1990’s, I was captivated by snooker from an early age and in 2005 attended my first live snooker tournament, the World Championship in Sheffield. Having continued to attend subsequent World Championships and other tournaments, in August 2008 I decided to create Pro Snooker Blog as a means of sharing my experiences, views and images from tournaments with snooker fans across the globe. At a time when there was no Twitter and few snooker websites of note, I also wanted to help share some of the news stories that perhaps were not covered by the mainstream press and would slip somewhat under the radar at the time. 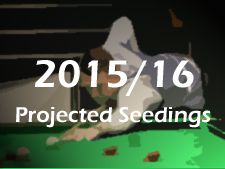 While there have since been many changes in snooker, from the return of Barry Hearn, to the implementation of a ‘rolling’ ranking list, the analysis of which has become a significant feature here at PSB, my aim to create a ‘one-stop shop’ for snooker information remains the goal today and I hope that I can help to plug some of the gaps that still remain in the mainstream media. Finally, I must stress that this site is completely independent and has no connection with either the WPBSA/World Snooker, or anyone working within either organisation. While PSB was something of a solo effort when I started writing back in 2008, there have since been a number of people who have contributed and helped to grow the site along the way. In particular, a huge thanks must go to @joanneballantyn who is a continual source of assistance in respect of helping to maintain the many various ranking lists on the blog, while @snookerinfo147 also earns a mention for his work updating the centuries page here at PSB. 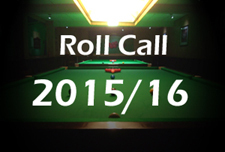 If you want to contact me about anything either relating to the site, or to ask any other question relating to snooker, please do not hesitate to do so, either leaving a comment on this page, or by emailing me at prosnookerblog@gmail.com. If you spot any errors or inaccuracies anywhere on the website, please do let me know and I will correct them immediately. Currently many of photos that I have used on this website are my own but if anyone would be kind enough to let me use images for the players that I do not have photos of, full credit would of course be given if requested. The same applies to any other articles that I mention in the blog. Special thanks to Janie Watkins and Monique Limbos for the extensive library of photos that they have both kindly let me use. Also note that this website is developed and therefore best used in Firefox.